I loved Firefly. Still do. I’m not quite as huge a fan of the movie Serenity. I’m relieved that, thanks to the near-miraculous success of a grassroots fan campaign (“Can’t stop the signal!”), a movie was made that squared away the plot mysteries of Joss Whedon’s futuristic fantasy space universe show, but Serenity is vastly different in tone. In the movie, the crew have to risk everything to save everybody, and death doesn’t just lurk around every corner: it jumps out and claims victims. Serenity is anything but serene. It’s strange that on a site named after a quote from the TV show Firefly there hasn’t actually been a post or page about the show… until now. My husband and I recently re-watched the series on Blu-ray. Some of the dialog is memorable enough that even now we can speak it along with the characters. The characters and the pretend space-frontier setting felt thoroughly familiar and welcoming. What is it about this fragment of a season of a show that makes it so lovable, so enduring? Say what you want about Joss Whedon, he has the ability to create people and places that we truly wish existed—and somehow, that makes them real, or real enough. This bookshop in Clementi does not sell ANY books. None. Zero. Not even the bestsellingest of the bestsellers, like you’d find in an airport. What does it sell? A third of the shop is electronics, another third is stationery, and the last third is full of rectangular objects that are made from paper, ink, and glue and resemble books but are actually test-preparation materials, created for the sole purpose of keeping up with the Joneses—or rather, getting ahead of the Lees and the Tans. I scowl but I feel like wailing. THIS is what a bookstore should look like. That’s the Barnes & Noble near where my parents live. It’s not the biggest bookstore in the city. It’s just a bookstore. One of many—a couple dozen, at the very least. Okay, so probably all those retail bookstores are struggling, and maybe someday, possibly even soon, Barnes & Noble will die. Certainly many companies have fallen and will fall before the might of the mighty Amazon. 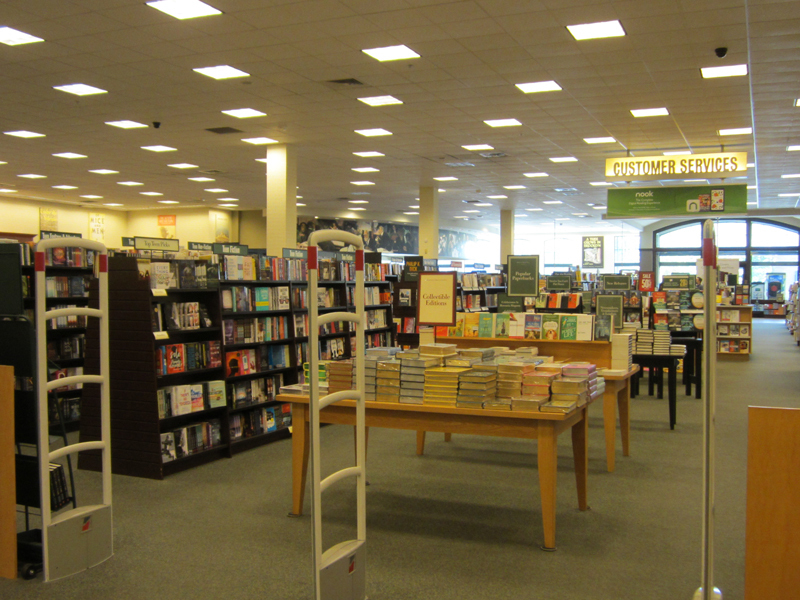 What Barnes & Noble will certainly never do, however, is turn into some sort of awkward amalgamation of Best Buy, Staples, and Kumon. 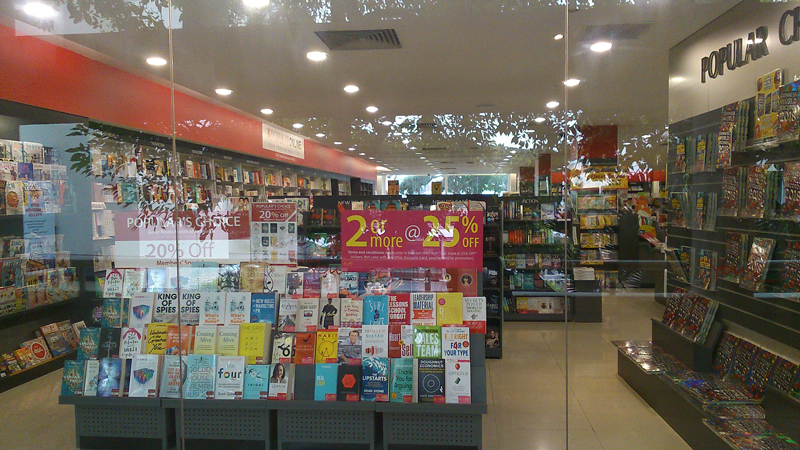 Hopefully other Popular stores in Singapore will continue to sell books as well as electronics, stationery, and test prep stuff. Management is “experimenting” with its product mix to “stay relevant”. Popular at Marine Parade still sells books. What if, instead of men and women, people were all just, you know, people? That’s the idea Ursula K. Le Guin explores in The Left Hand of Darkness. The people living on the bitter-cold planet Gethen (aka Winter) can only procreate when they are “in heat”, and during such periods may become physiologically either male or female. When not in heat or pregnant, they are neither male nor female (though they are referred to as “he” throughout the book because English lacks a neutral third-person singular pronoun). Genly Ai has been sent on a solo mission to Gethen to extend the locals an invitation to join the Ekumen, a kind of intergalactic knowledge-sharing alliance built primarily on technology for simultaneous communication (rather than, say, faster-than-light travel). Genly is male in the commonly understood sense, and struggles against the tendency to assign gender to the Gethens. He also struggles with the cold. Will he complete his mission? Will he even survive the political intrigues and the climate? Who can he trust? He is terrifyingly alone. I was surprised at the proportion of the book that consisted of a trek across an icy wasteland. I felt I’d been lifted out of the sci-fi universe Le Guin had so painstakingly created and plunged back into the dangerous world of high-altitude mountaineering, which I read about nearly 20 years ago in The Climb and Into Thin Air after watching the IMAX film about the 1996 Everest disaster. I was somewhat reminded of the depressing Jack London short story To Build a Fire, a classic man vs. nature struggle that I read in a literature anthology just last year but that I remember having to read in some long-ago English class. This book was chosen by Rachel of the Hungry Hundred Book Club for November 2017. Previously, I read it in 2001. I posted some background information and opinions on I Am a Cat in my Backlist books post on Asian Books Blog. A while ago, I posted about the growth of the MRT system since our arrival in Singapore. The expansion continues. The blue Downtown Line now stretches out eastwards all the way to the airport. 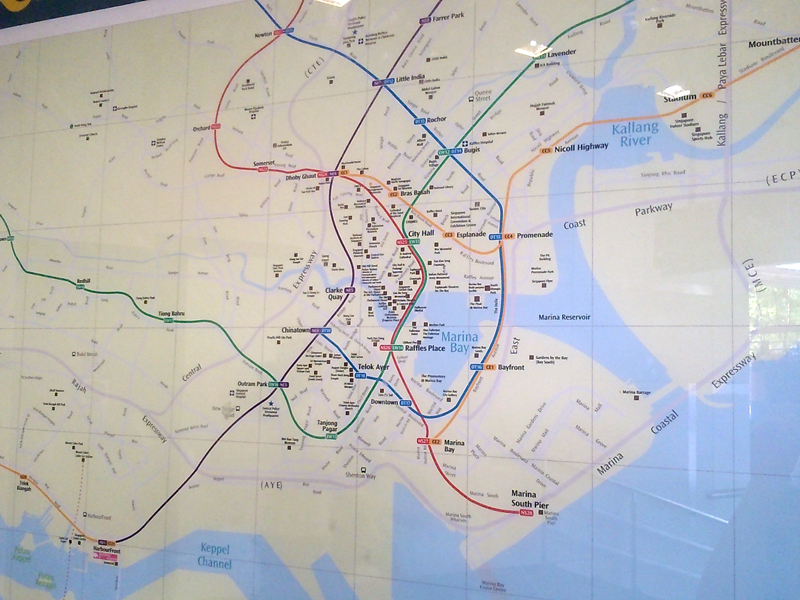 Here’s a more geographically accurate picture of the MRT lines in the central part of Singapore. 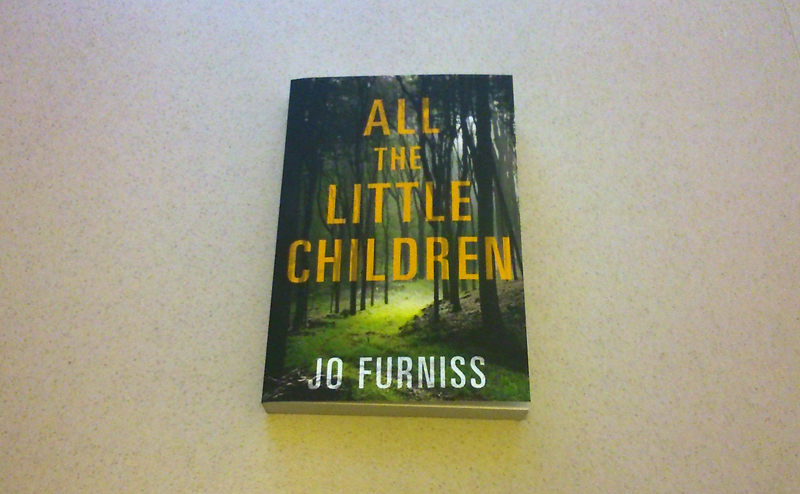 Jo Furniss, a fellow member of the Singapore Writers’ Group, has published her first novel, All the Little Children, with Amazon imprint Lake Union. Here she is launching her book at Kinokuniya, Singapore’s best-known downtown bookstore. She answered questions posed by another writer friend, Elaine Chiew, read an excerpt aloud, answered audience questions, and signed and sold all the copies she brought with her. It went great! 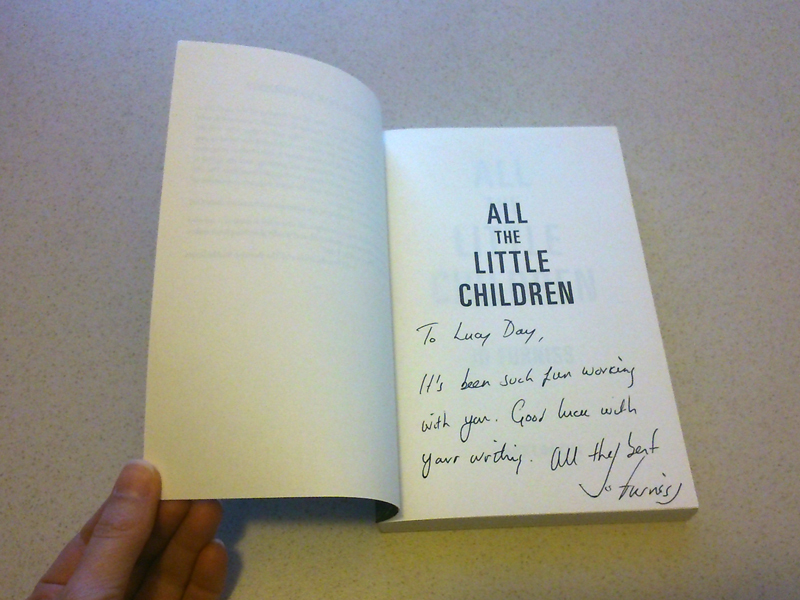 On the way into the store, I noticed Jo’s book on one of the tables in the aisle. She’s in good company, wouldn’t you say? 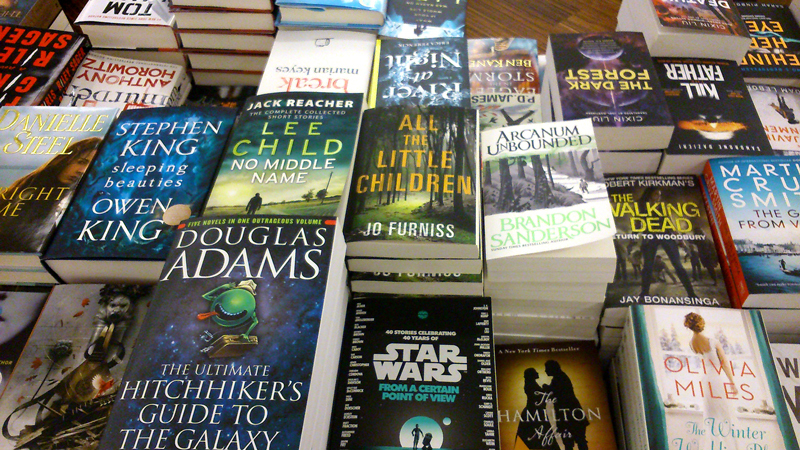 Danielle Steel, Stephen King, Lee Child, Brandon Sanderson, Douglas Adams, Anthony Horowitz, Liu Cixin… and Jo Furniss! I went with a friend to Sri Krishnan Temple at Waterloo St. Then we walked to little India and walked around to do some shopping. Below are a few photos from that day. Right after I said I was in no particular rush to see how this movie turned out, which movie did I see first, once back in Singapore? You guessed it: Miss Peregrine’s Home for Peculiar Children. It didn’t get scarier; it just got silly. Not a career highlight for Samuel L. Jackson. What should have been a twenty-four-hour, three-airport trip from Atlanta to Singapore turned into a thirty-plus-hour, five-airport trip. I watched another seven-and-a-half movies. There are two red symbols on top of Tokyo, one for each of the airports I was at (Narita and Haneda). The reason my trip got longer was that at some point while we were flying over Canada, someone on the plane had a stroke. We backtracked to Minneapolis/St. Paul to get him off the plane and then the plane had to be refueled and paperwork filled out. I missed my connecting flight at Tokyo Narita Airport because of the delay. Delta issued new tickets, but I had to collect my luggage and wait for Delta to put me on a bus to the Tokyo Haneda Airport (about an hour away). Delta gave me about $20 in meal vouchers which I used to buy a nice dinner at a katsu restaurant. It was a lot of extra travel time, but it wasn’t really so bad for me. I spoke with a guy who had been on a flight from Florida to Atlanta before being re-routed on the flight from Atlanta to Narita, and his new flight to Seoul took off a couple of hours after mine. I remember what they said to us at Mammoth Cave: once you start the tour, there is no magic button to get you out if something goes wrong underground. Similarly, it takes time to come back from the sky when something goes wrong on a plane. See below for photos taken at Haneda.